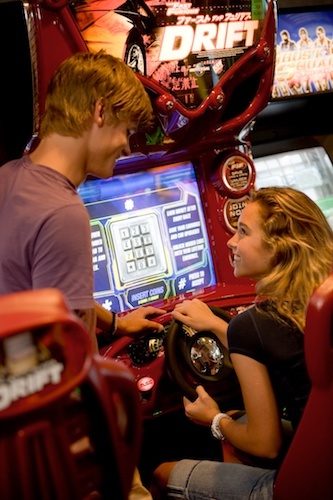 The Celebrity Constellation has kids' activities designed to entertain the younger cruisers and is known as the Celebrity X Club Youth Program. Youth groups are divided based on age. There are a total of four age groups with the own areas and activities. The Celebrity Youth Program will take kids under three, but if they are not potty trained, they must be accompanied by an adult at all times while at the "Fun Factory". Activities include treasure hunts, boat building, and PCs. Teens have the X Club, which is located on the Sunrise Deck (Deck 11). Teen activities include the Pool Olympics, karaoke and Play stations to name just a few. The children's program is located in the "Fun Factory" also on the Sunrise Deck (Deck 11). Babysitting on the Celebrity Constellation is offered as a group or in-stateroom if personnel are available. Check out our detailed overview of the Celebrity X Club Youth Program. The overview provides details on what to expect with Celebrity Cruises children's program, costs, late night babysitting services, and slumber parties. You can even make child care arrangements when the Celebrity Constellation is in port -- this gives parents the flexibility to explore the port without their kids. During peak sailings, the older kids may be grouped into 12-14 and 15-17 age groups with different activities. We will e-mail when there is a change in price on this Celebrity Constellation cruise. You can unsubscribe at any time. Celebrity Constellation cruises from $839The latest deals and best discounts on all sailings.